Finally have the Stang together & have been on a few trips, everything is working great (hope the pics make it). 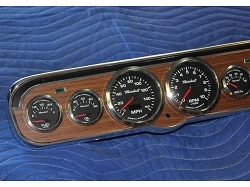 I have had a lot of compliments on the gauges & fooled quite a few who thought they were factory (probably bowtie guys). Thanks again for such a great product,.